It’s rare that an article is authored by only one or two people anymore. In fact, the average original research paper has five authors. 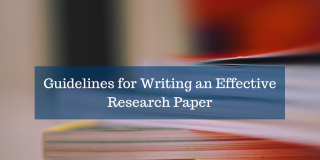 The growing list of collaborative research projects raises important questions regarding the author order for research manuscripts and the impact an author list has on readers’ perceptions. With a handful of authors, a group might be inclined to create an author name list based on the amount of work contributed. What happens, though, when you have a long list of authors? It would be impractical to rank the authors by their relative contributions. Additionally, what if the authors contribute relatively equal amounts of work? Similarly, if a study was interdisciplinary (and many are these days), how can one individual’s contribution be deemed more significant than another’s? 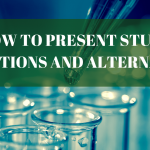 In this article, we will quickly review a few strategies for listing authors and why the order can matter as you develop your academic career. 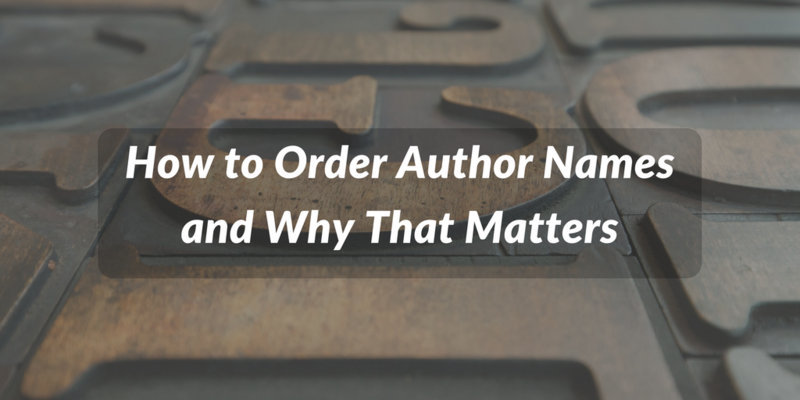 Why does author order matter? 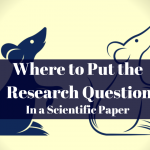 Although an author list should only reflect those who have made substantial contributions to a research project and its draft manuscript, we’d be remiss to say that author order doesn’t matter. In theory, everyone on the list should be credited equally since it takes a team to successfully complete a project; however, due to industry customs and other practical limitations, some authors will be more visible than others. The following are some notable implications regarding author order. The “first author” is a coveted position because of the increased visibility. This author is the first name readers will see, and because of various citation rules, the first author may be the only name visible. In-text or bibliographic referencing rules, for example, could reduce all other named authors to “et al.” Because of this fact, readers may falsely associate the first author with someone having more importance. Traditionally, the last author position is reserved for the supervisor or principal investigator. As such, this person receives much of the credit when the research goes well and the flak when things go wrong. The last author may also be the corresponding author, the person who is the primary contact for journal editors. 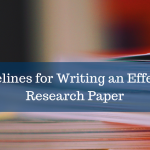 Given that there is no uniform rule about author order, readers may find it difficult to assess the nature of an author’s contribution to a research project. To address this issue, some journals, particularly medical ones, insist on detailed author contribution notes. Nevertheless, even this tactic does little to counter how strongly citation rules have enhanced the attention first-named authors receive. The following are some common methods for establishing author order lists. Relative contribution. As mentioned above, the most common way authors are listed is by relative contribution. The author who most substantially worked on the draft article and the underlying research becomes the first author. The others are ranked in descending order of contribution. However, in many disciplines, such as the life sciences, the last author in a group is the principle investigator—the person who supervised the work. Alphabetical list. Certain fields, particularly those involving large group projects, employ other methods. For example, high-energy particle physics teams list authors alphabetically. Multiple “first” authors. Additional “first” authors can be noted by an asterisk or other symbol accompanied by an explanatory note. This practice is common in interdisciplinary studies; however, as we shall explain further below, the first name listed on a paper will still enjoy more visibility than any other “first” author. Multiple “last” authors. Similar to recognizing several first authors, multiple last authors can be recognized via typographical symbols and footnotes. This practice arose as some journals wanted to increase accountability by requiring senior lab members to review all data and interpretations produced in their labs. Negotiated order. If you were thinking you could avoid politics by drowning yourself in research, you’re sorely mistaken. While there are clearer practices for designating first and last authors, there’s no overriding convention for the middle authors. The list can be decided by negotiation, so sharpen those persuasive argument skills! 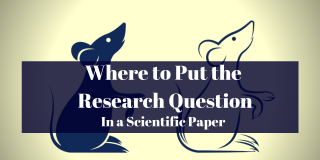 As you can see, choosing the author order can be quite complicated; therefore, we urge researchers to consider these factors early in the research process. Don’t wait until the manuscript is drafted before you decide on the author order. All the parties involved will need to agree on the author list before submission, and no one will want to delay submission because of a disagreement about who should be included on the author list and in what order. Additionally, we recommend periodically revisiting the named author issue to make sure that everyone is on the same page and that the list is updated to appropriately reflect changes in team composition or contributions to a work. Please also feel free to peruse our other free journal submissions and research writing resources.